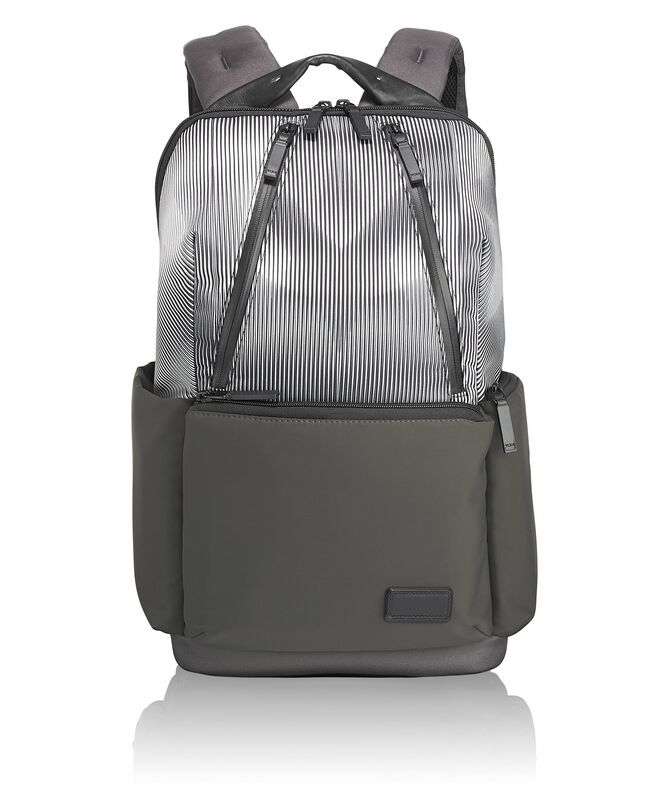 Minimalist style that still offers all of the great technical features you™ve come to expect from TUMI, the Lakeview Backpack allows for easy access and total organization of your essentials. There are two separate zip entries to the main compartment, as well as a padded laptop compartment, and a multitude of interior and exterior pockets to keep everything in its place. A waterproof rain cover with reflective tape stashes in the bottom of the bag when not in use. Minimalist design, maximum utility: Our Tahoe collection is designed for outdoor adventures, urban and beyond.